Fantasy Books With A Great Sense of Humor. 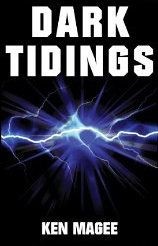 I was delighted to get an email from Caroline at wiki.ezvid.com telling me that Dark Tidings was being featured in their 9 Fantasy Books With A Great Sense of Humor list. Please nip over there and have a look, it’s a great site and well worth bookmarking. Here’s how they introduce the list: Fantasy novels don’t have to be serious melodramas full of deep metaphors and dry heroes. With a good sense of humor, the genre can let the author’s personality through, making for an infinitely more entertaining read. The nine books listed here blend the magic and fantastical with witty dialog and funny situations that are sure to make you smile. I love that description and feel privileged that Dark Tidings made the cut! This entry was posted in Uncategorized and tagged Book, Ezvid, Fantasy, Humor on March 17, 2019 by Ken Magee.